We are pleased to release ANOTHER extra performance of RENT, The Musical to be held on Saturday 25th November at 2.00pm. Be sure to book your tickets now, don’t miss out! The 2017 Music Theatre Guild Nominations have now been released. We would like to take this opportunity to congratulate the below mentioned people but also congratulate ALL of you who have been a part of our amazing 2017 performance year for Williamstown Musical Theatre Company. We are extremely proud of the year that we have achieved and thank you all for the hard work and team effort that you have all put in over the last 12 months. The Judging year for 2017 concluded on the 31st October. Our current production of ‘RENT, The Musical’ will be included in 2018 Judging year. For further information on the Music Theatre Guild of Victoria please visit their website here. We are pleased to release an extra performance of RENT, The Musical to be held on Wednesday 22nd November at 8.00pm. 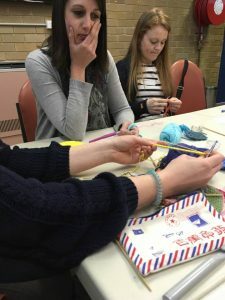 The WMTC Costume Department is thrilled to report the success of our recent Costume Skill Share Sessions with three fantastic workshops; Shape and Texture: Knitting and Crochet for Costume; Creative Costume with Mouldable Plastic; Embellishment for costume: Crystal and Feather work. We received over 30 registrations with many people attending multiple sessions and a waitlist for each one. 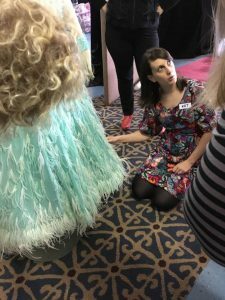 After running pilot sessions internally in the first half of 2017 WMTC invited the public to join our WMTC Costume Assistants Group, who work tirelessly on all WMTC productions, for these fun and creative afternoons. It was a great opportunity to showcase the diversity and talent of our hardworking team and to share our love of costume with new friends. 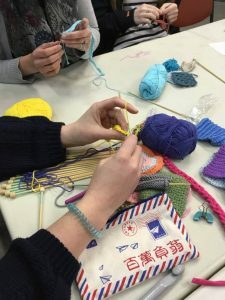 Each session focused on very different area of making and we are grateful to our amazing teachers, Laura Houlden, Chi Cheung and Katrina Stanley for their generosity in sharing their knowledge and passion for what they do. Thanks to all who attended! Stay tuned for further information on new costume skill share workshops in 2018. 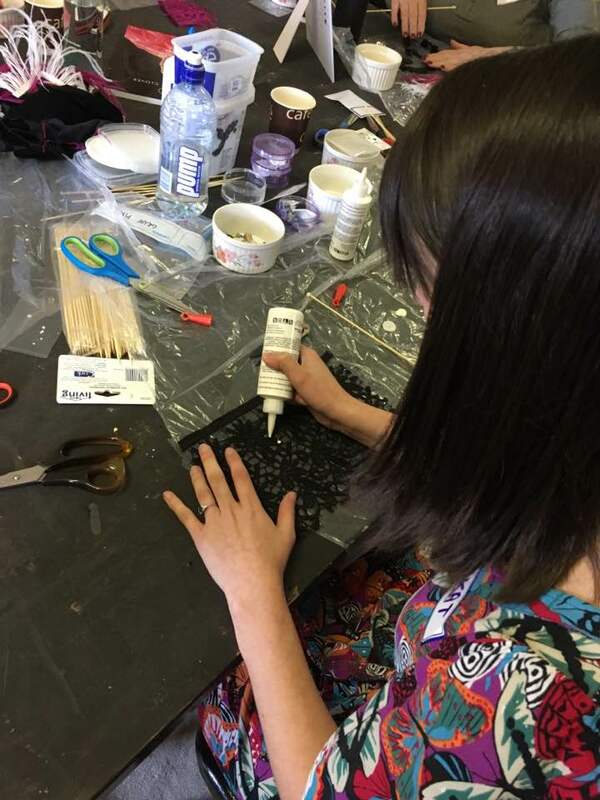 Come and have some fun, learn from Chi who will show you how to create useful and unique items with Mouldable Plastic! 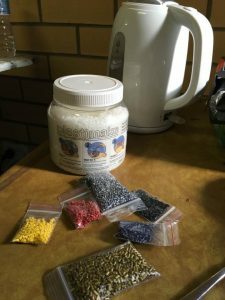 It’s easy to use, just soften with hot water and mould with your hands. From costume, craft, cosplay, DIY, fixing things, you are only limited to what you can imagine!! Making your very own creation!! 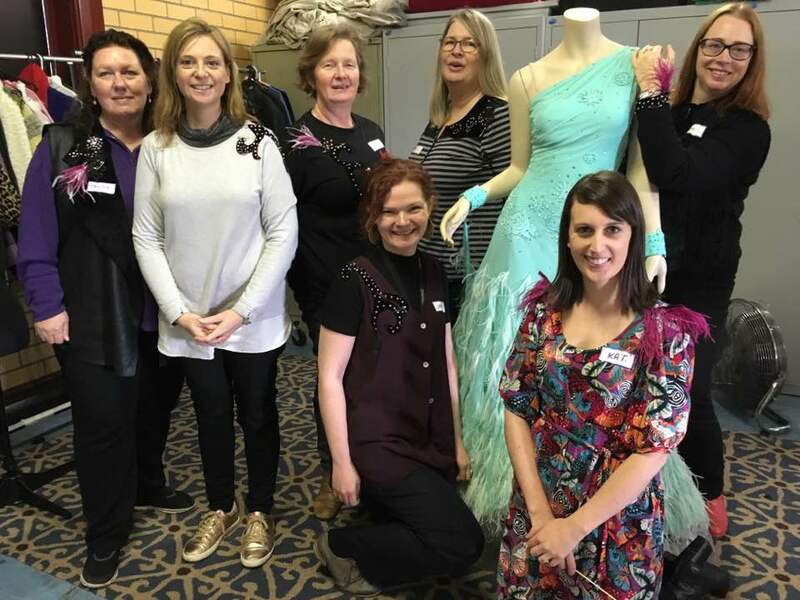 Katrina Stanley invites you into her world of embellishment for costume. Specialising in couture for performance, Katrina has mastered the art of stoning her garments with literally thousands of Swarovski Crystals and would love to share this technique with other costume lovers. Participants should be able to walk away with something sparkly of their very own. Williamstown Musical Theatre Company is very excited to announce the cast of our November 2017 production of ‘RENT – THE MUSICAL‘. The production will run from the 10th to 25th November 2017 at the Williamstown Mechanics Institute Theatre. Early Bird Tickets will be available for purchase from Friday 11th August. We are pleased to release an extra performance of SEUSSICAL JUNIOR to be held on Saturday 24th June at 1.00pm. RENT – The Musical, Audition Information Released! We are pleased to announce the release of audition information for our November 2017 production of RENT. We are pleased to announce some new costume workshops and skill share opportunity’s that you can get involved in. 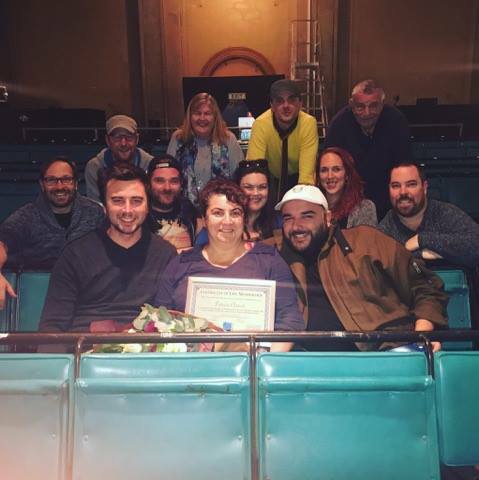 At last night’s Annual General Meeting, Williamstown Musical Theatre Company was proud to announce its newest inductee to Life Member Status: PATRICIA CHETCUTI. Patricia first joined the company in 2007 as Properties Manager for our production of ‘The Little Shop of Horrors’. Since then she has been on WMTC’s Committee of Management for the last 10 years, having held the executive positions of Company Secretary for 3 years and Treasurer for another 3 years. Patricia has also been heavily involved with a number of WMTC’s productions. She has been the Properties Manager for 16 productions while heading up the Properties Department and has been Production Manager for 8 Productions and Program Coordinator for 27 Productions. 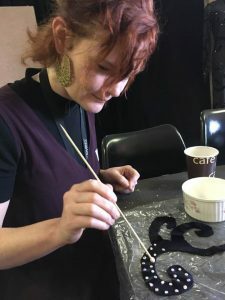 In addition, she has also held numerous other production team roles over the last 10 years, including, but not limited to, Assistant Stage Manager, Crew Member, Set Construction, Sound Operator, Lighting Operator and has worked on WMTC Marketing and Publicity. As a most deserving recipient of WMTC Life Membership, we express our deep appreciation for Patricia’s outstanding and dedicated service to our company, her friendship and for always being there; she has given us more than we could ever ask, and she means more to us than she will ever know. A big congratulations Patricia from your WMTC family!!!!! Please note that the start time for our Seussical Jr performance to be held on Saturday 17th June has now changed to 1.00pm (originally scheduled for 5.00pm). Those patrons who have purchased tickets before the change in start time have been notified via email. If you have any questions, please do give us a call on 1300 881 545 or contact us here. Apologies in advance to any patrons who were planning on purchasing tickets to the original scheduled time. Further information on our production of Seussical Junior can be found here.